All sashes are available in retail to individuals and small groups, or in bulk orders to schools, universities and large organizations. 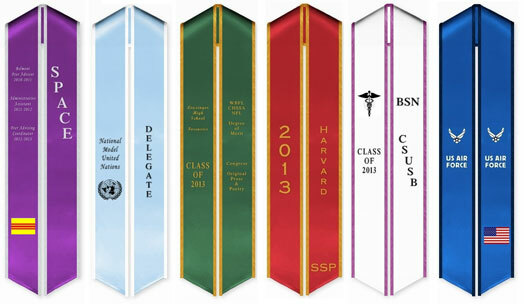 Graduation sashes and stoles are 5" to 42" from neck to tip, and made of a soft bridal quality satin. 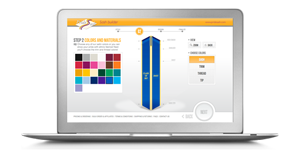 You can choose the colors of the sash, trim and thread. They can be personalized with your name, logo or custom message. Start Designing your sash or visit the store page. 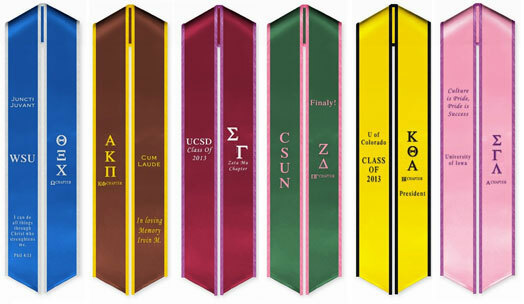 Custom greek stoles are the perfect match for your sorority, fraternity or honor society. You can choose your own greek symbols and chapter, or greek crests and your personalized embroidered letters. We also offer pre-made sashes with your crest and letters. We are an approved greek licensing™ member for sororities and fraternities. Start Designing your greek sash. Additional hybrid and ethnic stoles are available.